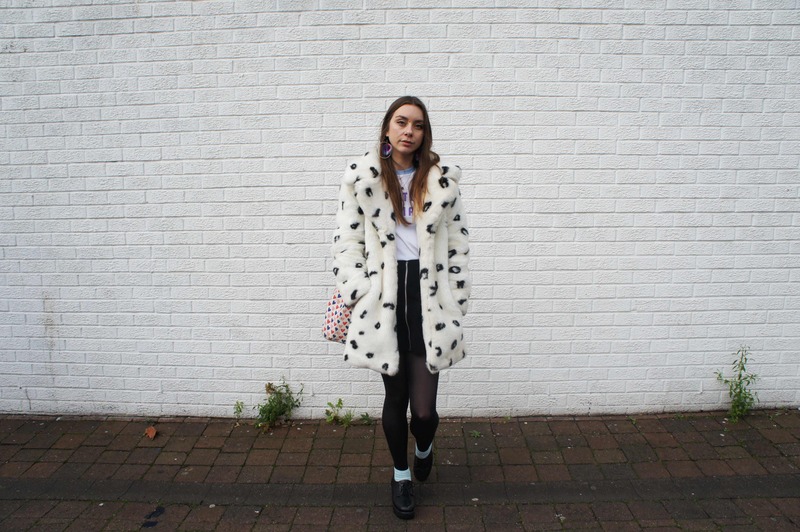 I found this faux fur coat in a charity shop in Dalston when I lived there, so it's a pretty old purchase. It makes me feel like Cruella De Vil (minus the cruelty), she was one sassy character. I think she is the reason I love the whole vintage hat with mesh look. I hated her character but secretly loved how she looked. Going back to my own faux fur coat I realise that as it's second hand the white is not quite as crisp white as it probably once was but at an £10 price tag, I couldn't say no. I bought it during the summer so I guess the coats where priced a little cheaper due to the season. You can see how I styled the coat last year, it looks pretty cute with a bold colour against it rather than my monochrome look here. 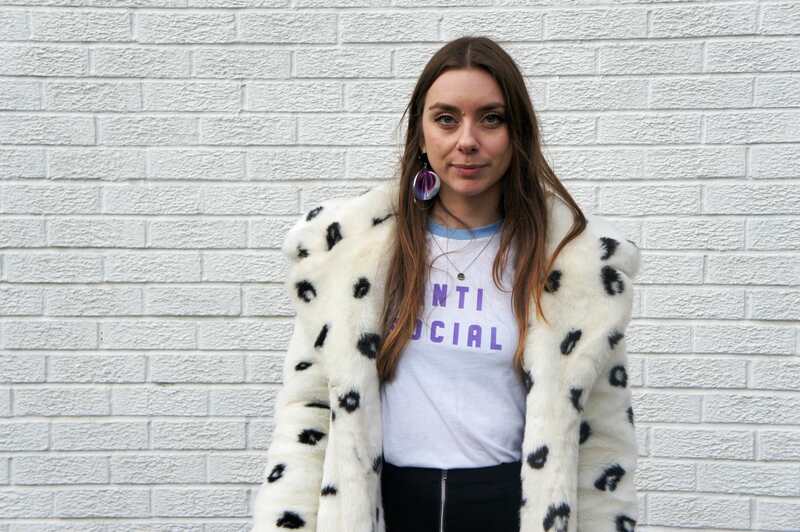 Jakke have a faux fur coat which is cow print, it's the closest thing to the one I'm wearing (that I've been able to find) but of course you could hunt in your local charity shops for a faux fur delight. This coat is gorgeous! Love finding gems like this.